The Expedicion line is a tribute to Antoine Dominique Bordes. Originally from Bordeaux, France, this sailing man arrived to Cape Horn in the Chilean Patagonia during an expedition to explore our central wine valleys and to discover all the benefits of Maule’s noble grape varieties. The Expedicion line shows fresh and fruity wines that are easy to drink with an outstanding balance. Well structured wines are the winemaker’s main objective and these wines perfectly reflect all characteristics, aromas and flavors of each variety. 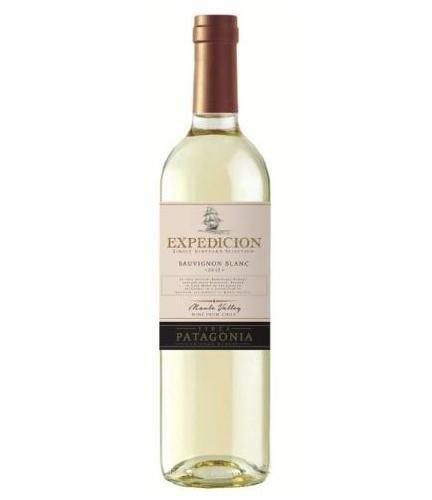 This Sauvignon Blanc has a light yellow color with greenish tones. Its prominent aromas of lime, grapefruit and gooseberry fruit blend harmoniously with floral note. In the mouth is crispy, refreshing and long. It matches appetizers, ceviche, seafood and green salads.